The Man Who Invented Christmas premiered November 22 in the United States and December 1 in the United Kingdom. Les was interviewed on CBS4 and WSVN7 in Miami. See the links for more, and The Man Who Invented Christmas page for more details. The Florida premiere of The Man Who Invented Christmas was hosted by Books & Books on November 20, 2017 at the Coral Gables Arts Cinema. See here for more information. Les Attended the New York premiere of The Man Who Invented Christmas, November 12, 2017. See more about the book and movie here. March 5, 2016: Book Mania, Stuart, FL 8:30 AM. Les spoke on Water to the Angels. March 29, 2016: Chapman College, Orange, CA, 7 PM. Les spoke on Water to the Angels. For more information, click here. 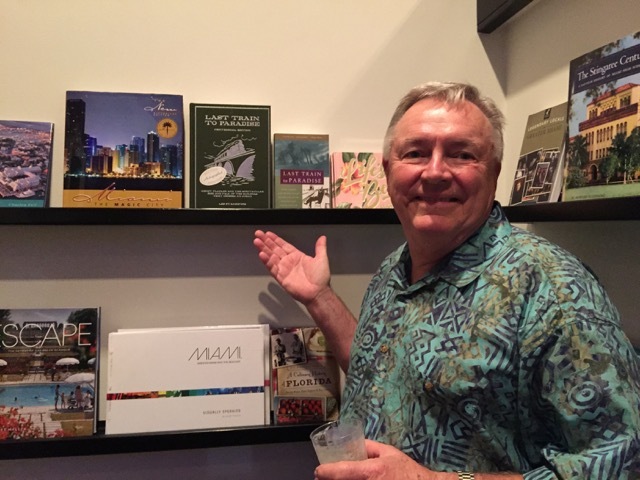 April 1, 2016: Les signed books at the AWP in Los Angeles. Come see him at the Florida International University book table in the Exhibitors' Area at 11AM. April 1, 2016: Pages Bookstore, Manhattan Beach, CA, 7 PM. 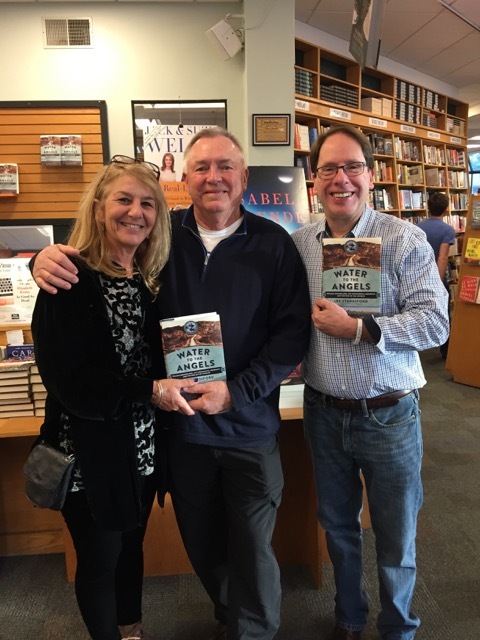 Les read from and signed copies of Water to the Angels. For more information, click here. May 25, 2016: Keys History & Discovery Center, Islamorada, FL. 6 PM. Les spoke on and signs copies of Last Train to Paradise. January 16-23, 2016: Writers in Paradise, Eckerd College, St. Petersburg, FL. Les served as co-director (along with Dennis Lehane) of this 11-year-old intensive writing conference, leading a week-long workshop in Writing the Novel and giving a public reading along with Ann Hood, Monday, January 18th at 8pm in Miller Auditorium. 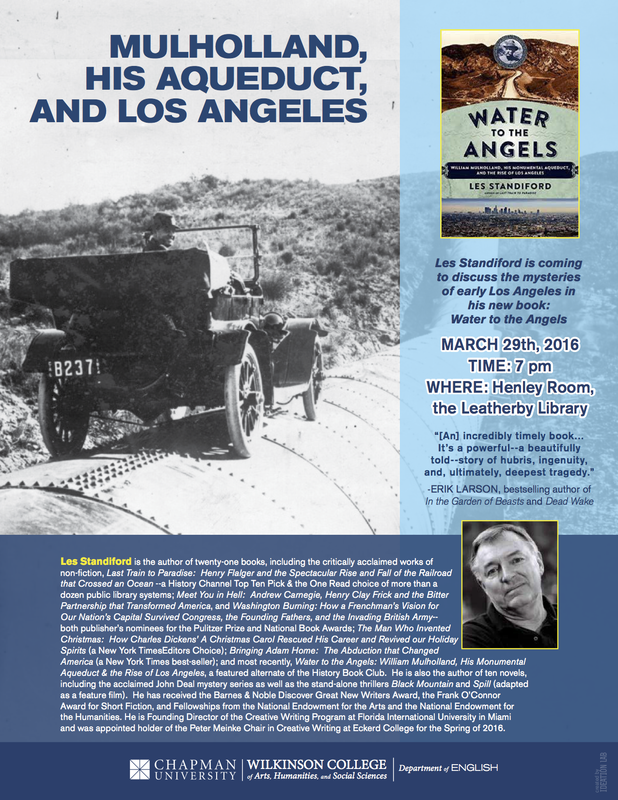 Can't make it to an event but want a copy of one of Les's books, most of which remain in print? Just call or email Books & Books in Coral Gables, FL with your request. They will be happy to send personalized/signed copies to you, with no shipping charge. Interested in having Les appear at an event? Contact the Harper Collins Speakers Bureau by clicking here.